Why Use A Hair Serum? Getting your hands on the best hair serum for you can be downright life-changing! Think of a hair serum as a hair treatment-- it can solve some of your biggest hair problems from frizz to dryness to style management. Not sure how to work a hair serum into your haircare routine? We break it down for you below. Just like the extra boost skincare serums can give to the face, the best hair serums can dive deeper into the hair than traditional cleansing products alone, making them a total must in any beauty arsenal. They work as a styling tool to treat a number of hair concerns from out-of-control frizz and adding shine, to protecting hair against environmental aggressors. It’s different from an oil which works mainly to condition on the inside, whereas serums can be used as a quick fix to treat hair at the surface. However, the disadvantage of hair serums lies in the application process, especially when it comes to how you use it. Even if it is an amazing product, the application can make or break the experience. We sat down with Redken Artist Giovanni Giuntoli who gave us the lowdown on how to make the most out of your hair serum. For gorgeous hair with megawatt shine, it’s important to distribute a serum to the part of the hair that needs it the most — the ends. Giuntoli warns that applying a serum starting at the roots can yield unwanted results and suggests starting at the ends, only going as far as the midsection. One of his best serum tips is to “start working from the ends of the hair working up to the head, versus just rubbing your fingers through your scalp, where the most application would be at the scalp and therefore tends to make the hair look oily and greasy,” he said. Plus, by forgoing the roots when applying a serum, you can avoid annoying product buildup. When shopping for serums, you may notice that some are thicker than others depending on what hair concern you’re trying to address. Instead of working overtime to make the product blend seamlessly into the hair, Giuntoli’s hack involves heating up the serum. “I find that [when] we put the product in our hands, quickly rub it around to spread it in our hands, and then start to apply it to the hair we haven’t given it a chance for the product to break down and liquefy…A lot of serums tend to be placed in the hand more like a thicker oil. But if you give it about 5 to 6 seconds in your hands, it softens up and has more of a slip to it,” he said. Keeping in mind that serums shouldn’t be treated like an oil, creating friction for the serum to heat up is absolutely critical in ensuring an even application. To manage your hair as part of the daily care process, it’s important to take your hair type into consideration. There’s a misconception that if you have fine hair you can’t use serums because it will make the hair go flat –– but in reality, you can. Those with fine hair or prone to oily hair should opt for a lighter formula like Frizz Dismiss Smoothing Serum over a heavy, ultra-moisturizing solution. 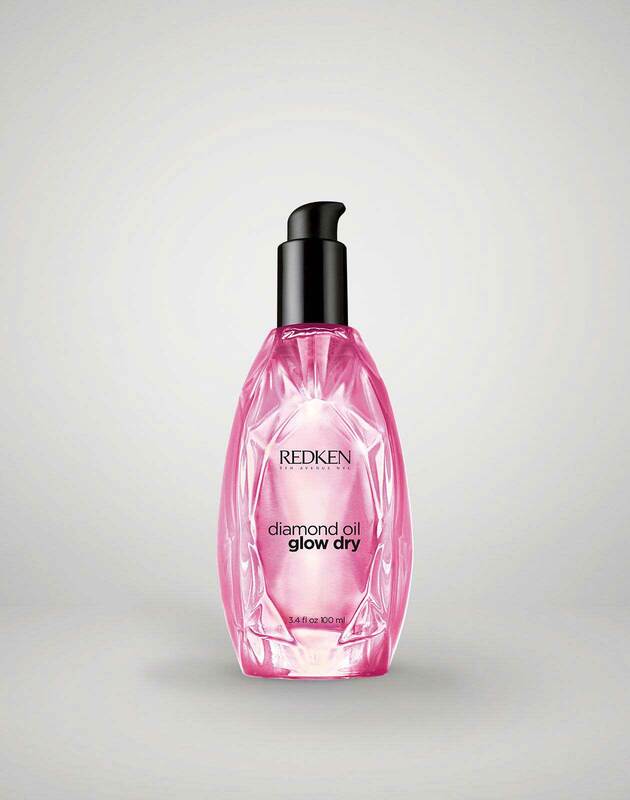 Apply the serum throughout damp hair to tame excess volume and leave hair with a glossy finish. It can also be used for a quick touch-up throughout the day if hair is looking dull. If you struggle with curly hair that’s affected by the humidity, Full Swirl Sculpt and Shine Cream-Serum can do the trick. The lightweight cream helps lock in moisture and define ringlets for effortless curls. No matter how thick or long your hair is, over-applying too much serum is never a good thing. Keep your limits in check by only applying less than a pea-sized amount for fine hair and quarter-sized amount if your hair is on the thicker side. Remember, a little goes a long way! Let your serum work double-duty by using it in lieu of a hairspray or hair gel to tame flyaways. Simply rub the serum through the palm of your hands and then, using 2 fingers, gently apply it to the strands using a pressing motion anywhere you want to control frizz. This is especially helpful if you have breakage stemming from your roots, which can be held in place with a light dab of serum. Just be careful not to press the serum directly to the top of the scalp to avoid messy roots. A major bonus of serum is its ability to protect hair against environmental aggressors like pollution and dust. In order for it to work to its maximum potential, serums should be used on clean and freshly washed hair. In this way, it can act as a shield against grime in your city. Whenever possible, it’s best to apply the serum to damp hair before the rest of your styling products to lock in the benefits. It’s ok to use a serum throughout the day to touch up the hair, but the initial application should be on clean hair. Want to learn more about the perfect products for your hair regimen? Check out Redken’s Salon Finder to discover the nearest stylist who can provide personalized recommendations. Are you a Salon Professional? Get more information just for you here.